Comfortably nestled in a corner of ION Orchard, Paradise Dynasty’s layout was chic – a fusion between a traditional Chinese theme and contemporary styles. Their outdoor seating area also gives those willing to brave the Singapore weather a pleasant view of orchard road. 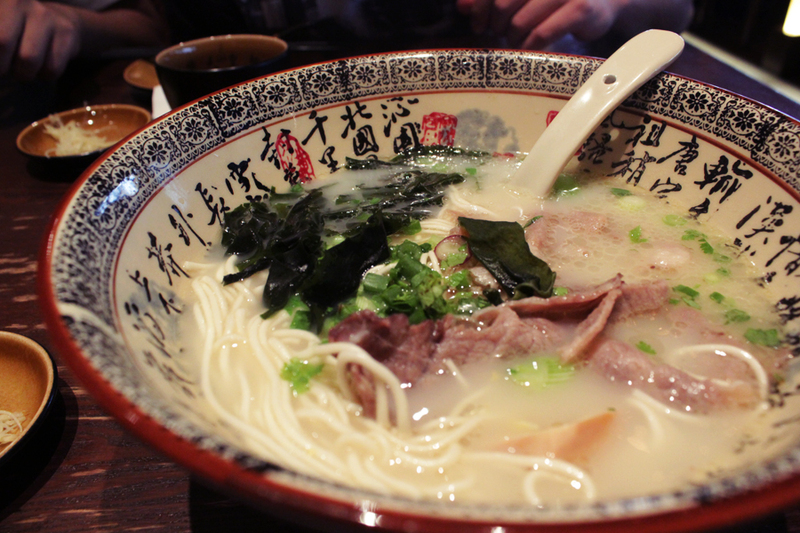 During our meal there, I tried the Braised Pork La Mian in Signature Pork Bone Soup and it was delightable. 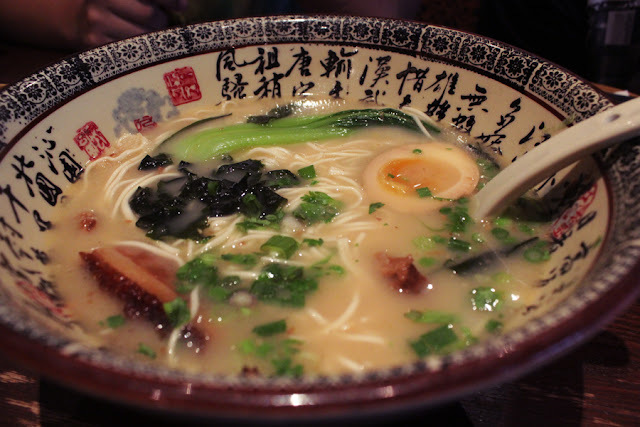 The La Mian, vegetables, pork and other ingredients came in adequate proportions and the broth complemented the dish well. The pork, especially, was delectable and was a fine balance between fat and meat. 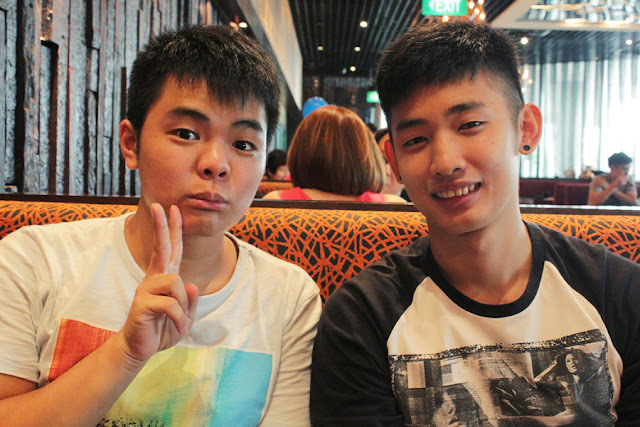 On the other hand, Thomas had the Sliced Pork La Mian while Douglas ordered the La Mian with Deep Fried Chicken Cutlet. The noodles we had were basically the same La Mian, made fresh on ordering, which were silky and finely cut. 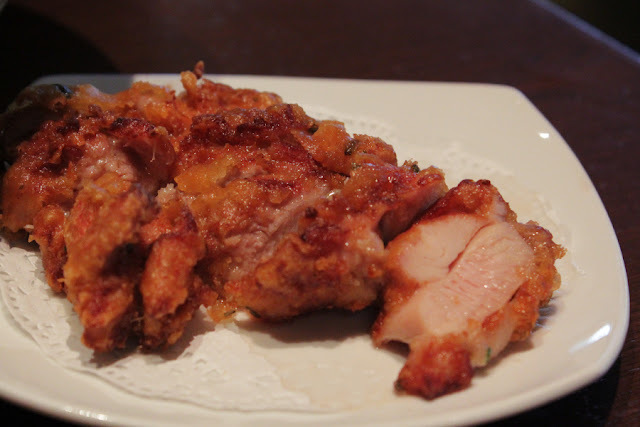 Douglas’ chicken cutlet came on a separate plate which ensured that the crispy pieces were not soaked in the broth and did not lose its texture. The chicken, though a little oily for my taste, stood out because of its flavour. Though I’m not too sure what sauces or marinades they used, the flavour evoked a sort of home-cooked feeling which I rarely experienced at restaurants. 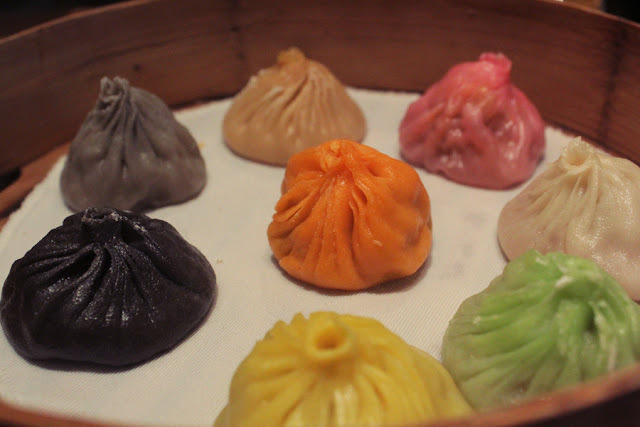 Last but not least, we also tried Paradise Dynasty’s famous “multi-coloured” Signature Dynasty Xiao Long Baos (S$13.80). Apparently, there was an order we were supposed to follow while eating the Xiao Long Baos but since it was our first time trying their signature dish, our inexperience caused us to overlook the order and our zeal in trying out the different coloured Baos resulted in us simply randomly eating those whose colours looked most appealing. Needless to say, the Xiao Long Baos’ special flavours were not apparent to our palates and resulted in a huge anti-climax. Hence, as a warning to future diners, please be reminded to follow the order. Ultimately, what makes Paradise Dynasty a recommendable place to eat is not just their sumptuous food, but also their prices. Located on the top floor of ION Orchard, one would easily mistake the prices in Paradise Dynasty to rival those of the other posh restaurants in its vicinity. However, our meal this time cost us no more than $20 each - a reasonable price for the quality of food and ambience provided. So if you are looking for good food at a more conservative price in Orchard, why not give Paradise Dynasty a try?